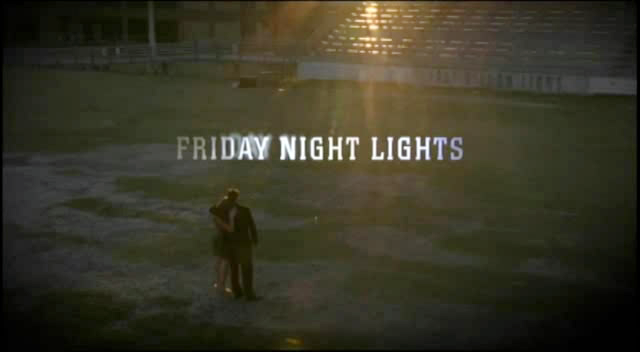 The 2011 Emmy nominations are bittersweet for Friday Night Lights fans. After five seasons of consistently being one of the best dramas on television, FNL finally received a nomination for best drama series. This announcement came the day before its series finale aired last night on NBC. It is only just dawning of me how much I will miss Friday Night Lights. I’ve spent the last few days reading much of the commentary on FNL that is circulating around the Internet. (Grantland has an excellent oral history of the show that is definitely worth reading.) I don’t want this show to end. I want Coach Taylor to stay in Dillon forever and continue leading the Dillon Panthers/East Dillon Lions to state championships. I want Tim Riggins to continue being Tim Riggins. But that isn’t happening and now one of my all-time favorite series really is over. So much of Friday Night Lights – the characters, casting, dialogue, acting – is just perfect. Even the somewhat disappointing second season, the one time FNL strayed from what makes it great (unflinching realism) is forgiveable. A show like this only comes around once in a while. Friday Night Lights is a rare television drama that transcends other network dramas in ways that slowly sneak up on you. It revolves around high school football, something relatively simple, yet revels in the greater realities of life – marriage, relationships, friendships, death. The message of the show outweighed the actual parts so that the high school aged characters from the first three seasons – Jason Street, Smash Williams, Matt Saracen, Lyla Garrity, Tyra Collette – could effortlessly float in and out as their lives moved past Dillon. Of course Coach Taylor, Tami Taylor, and Tim Riggins became greater than Friday Night Lights and provided much stability for the series. At the end, each character was given the appropriate send off. When Tim Riggins repeated his infamous line, “Texas Forever” as he literally rebuilt his life, I was practically in tears. Man, I love this show. In a perfect world, Friday Night Lights will pull off an improbable win at the Emmys in September. The longtime underdog be rewarded for giving its dedicated fanbase of perfect final season. But realistically Friday Night Lights won’t upset drama heavyweights like Mad Men and Boardwalk Empire. Neither will its stars, Kyle Chandler and Connie Britton, who have repeated their best actor and actress in a drama series nods. It’s unfortunate but at least I can take away that Friday Night Lights has had a greater impact on me than many others. Epically good show. Thanks for the post!